$42 10.5" x 3" x 2"
This chopsticks' box is hand made in Vietnam with the beautiful mother of pearl inlaid on top. The elegant chopsticks (6 pairs) and the matching chopsticks' holders are included. 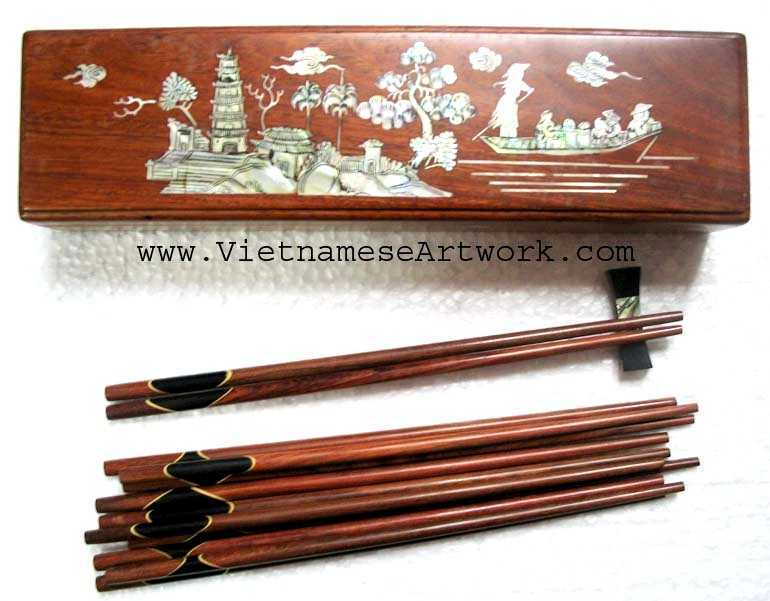 These beautiful chopsticks boxes with elegant chopsticks are made out of good vietnamese woods like "mun" and "trac" (ebony and hard wood species). Especially Mun, a rare natural black wood, gives the chopsticks the fancy smooth and natural black color with elegant design. This is a new collection of beautiful hand made chopsticks boxes with mother of pearl inlaid. 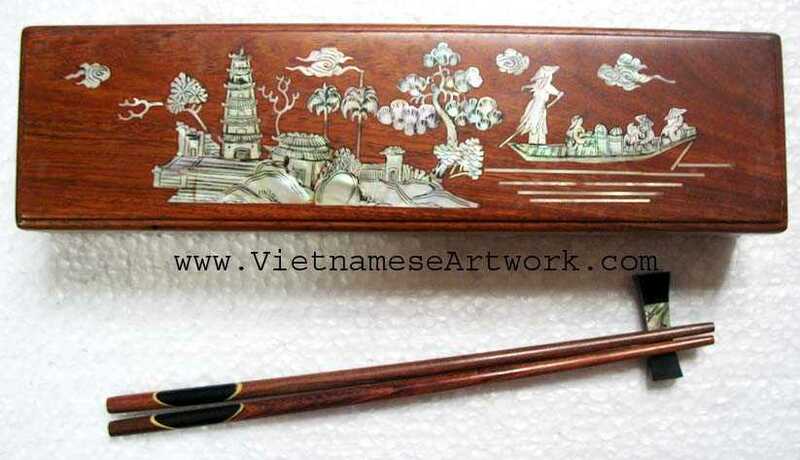 The box is very fine and smooth with beautiful vietnamese designs on. The chopsticks (six pairs) and six chopsticks holders are included to make a complete elegant set. A great gift and a charming touch to your table for Vietnamse or asian food. Everything is hand made in Vietnam.